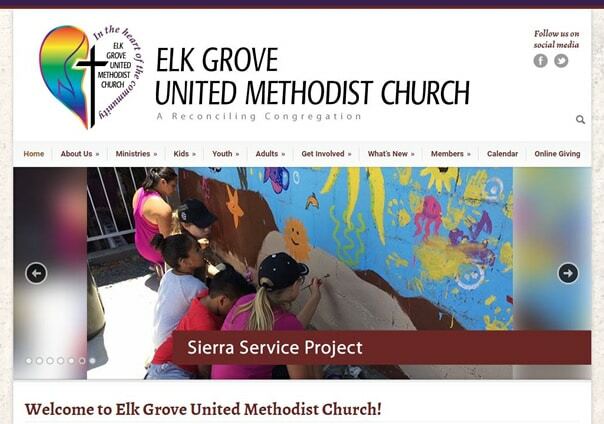 Elk Grove United Methodist Church needed their website updated for mobile devices. Using WordPress, I chose a responsive theme that loads quickly and is easy for volunteers to update. The result is a site that’s faster, easier to use, and will bring in more donations. I started my freelance career in early 2008 by working with Elk Grove United Methodist Church to develop a logo and marketing materials for their $500,000 capital campaign. The church wanted to use the campaign’s funds to build a bell tower with an elevator to make the facility more accessible to people with physical challenges. Inclusiveness and service are important parts of the church’s culture, so I designed a logo that depicted their members as multicultural stars going into the world on a path shaped like the cross. I also designed newsletters, brochures, and stationery for the campaign.